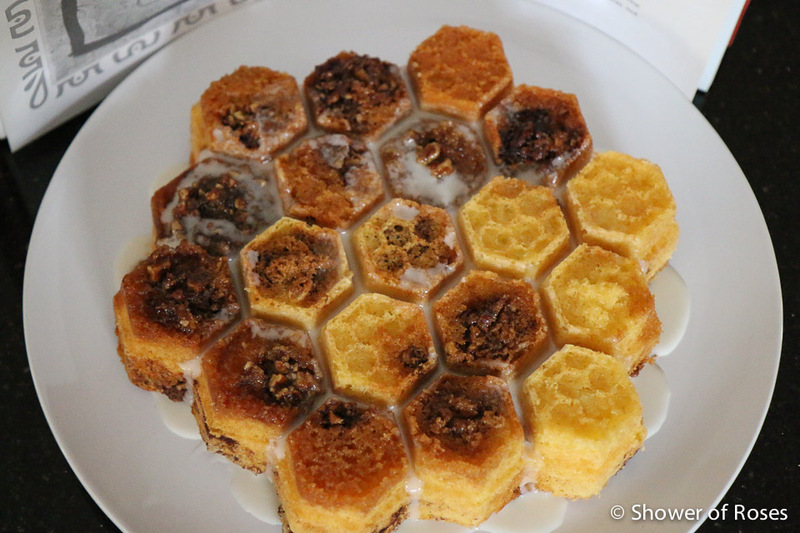 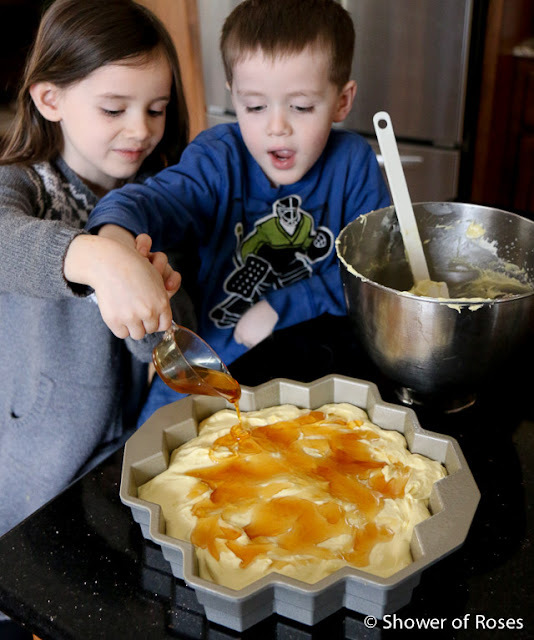 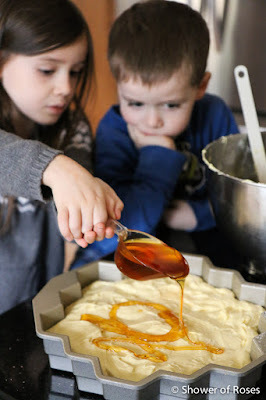 Today my little ones helped bake a Honey Bun Coffee Cake in our Honeycomb Pull Apart Cake Pan for after dinner in honor of the St. Ambrose, the honey-tongued doctor. 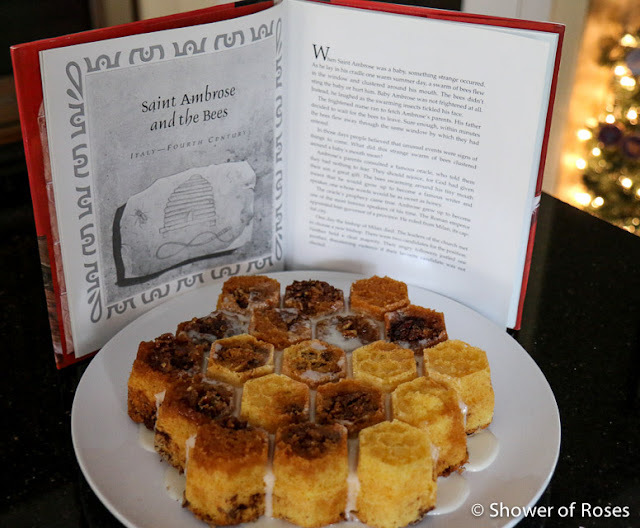 Legend says that when St. Ambrose was a baby, a swarm of bees flew in the window and clustered around his mouth, indicating that he would grow up to become a famous writer and speaker, one whose words would be as sweet as honey. 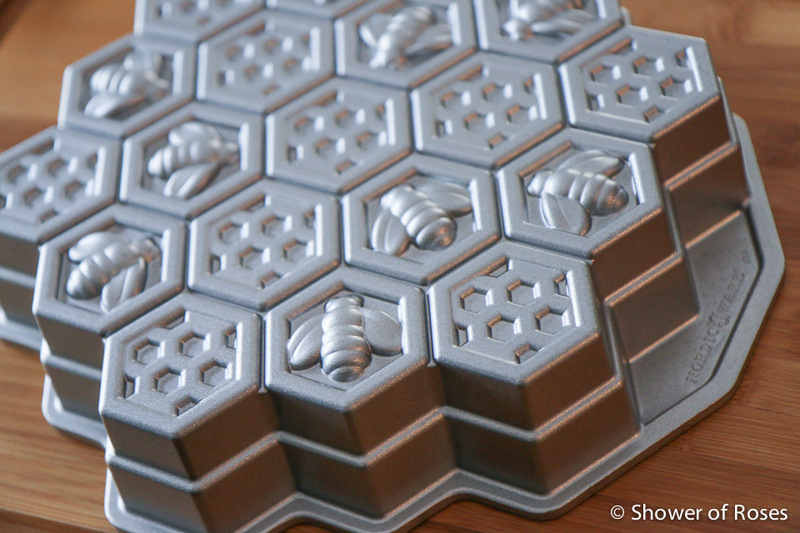 He is the patron saint of beekeepers, bees, and candlemakers. 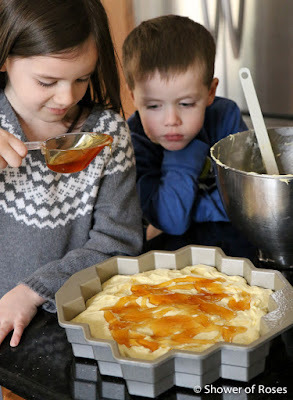 I just shared the recipe over at Catholic Cuisine. 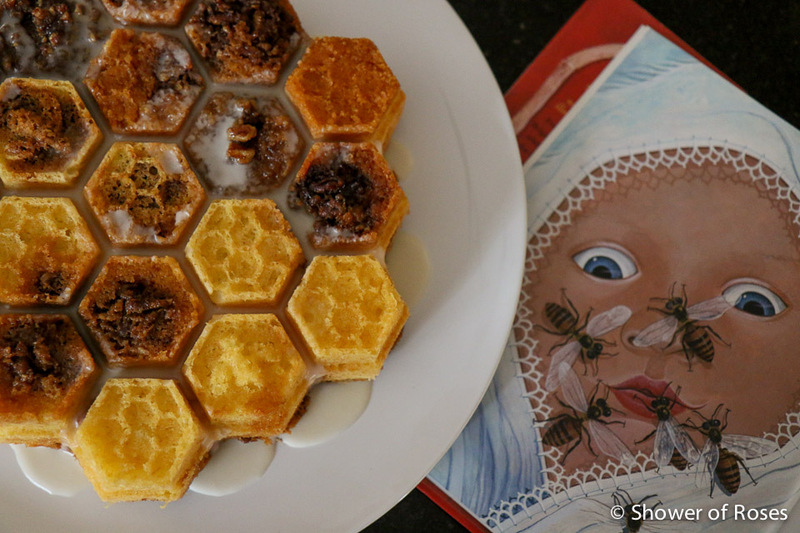 While it baked we read the story of St. Ambrose and the Bees in Brother Wolf, Sister Sparrow: Stories about Saints and Animals from our December Book Basket. St. Ambrose, ora pro nobis!